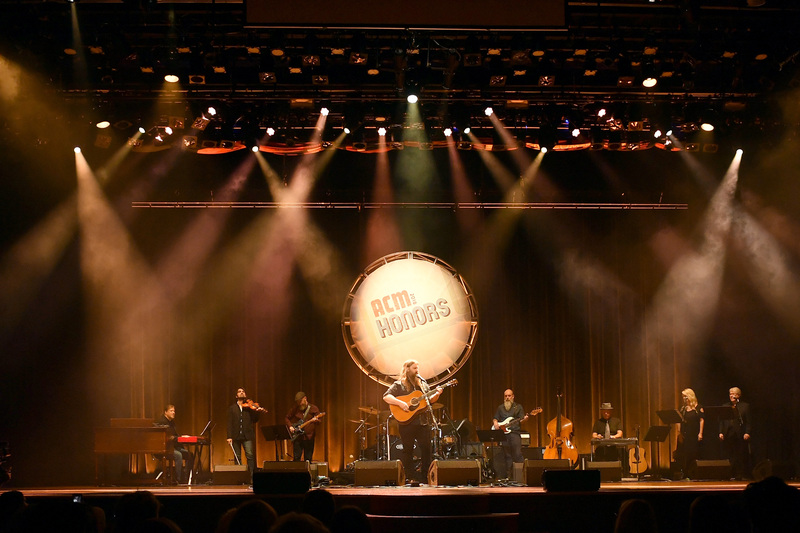 This year’s ACM Honors show at Ryman Auditorium on Wednesday (Aug. 22) was a collection of musical delights, interspersed with lots of blah-blah, horribly-lit video interviews and borderline-incompetent hosting. 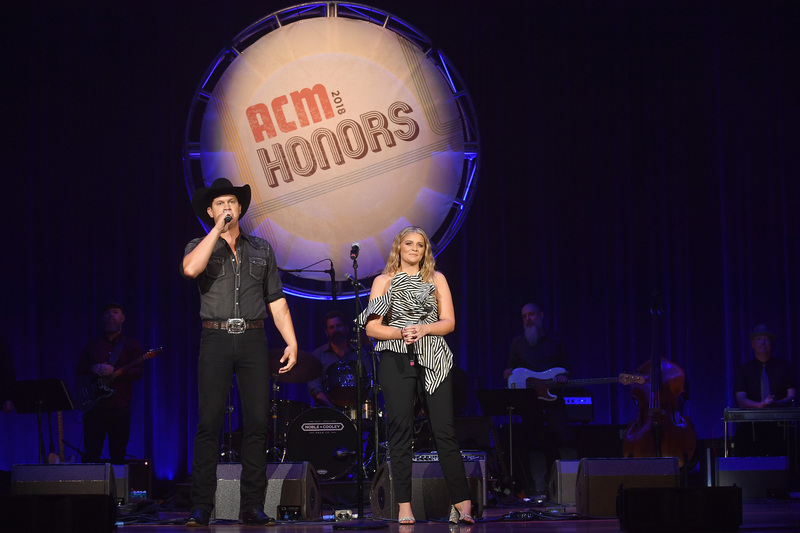 Things began promisingly with Jon Pardi — splendidly attired in a rhinestone-festooned, black bolero jacket – delivering a spot-on rendition of honoree Alan Jackson’s “Chasin’ That Neon Rainbow.” In mid-song, his co-host Lauren Alaina joined him. They drove the song home together with elan. “We’re honored to be in the presence of people who have inspired us all of our lives,” said Jon. It was among the few coherent comments he made all evening. I love this guy’s music, but he was embarrassing as a host, consistently misreading the Tele-Prompter screen and mispronouncing names. Co-host Lauren tried to compensate by being ebullient, charming, honest and fluent throughout. 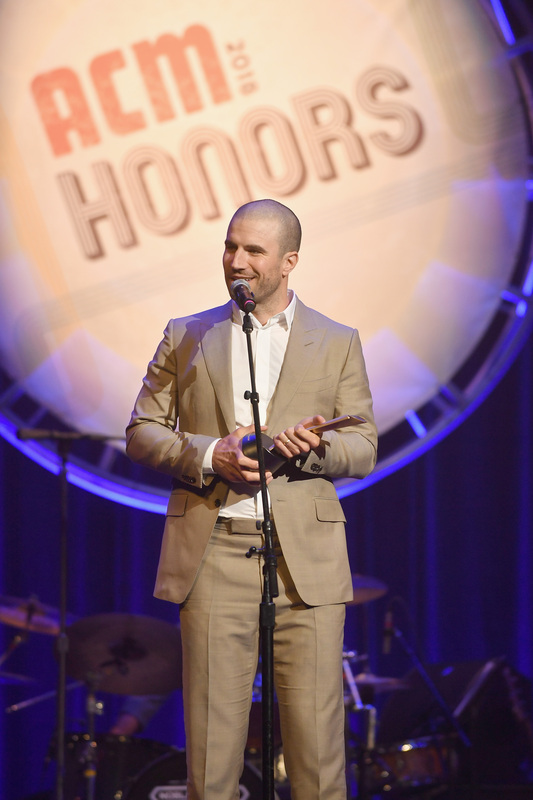 In marked contrast to Jon, Jordan Davis was a total pro in presenting the live-performance honors. The winners were The Greek Theater (Los Angeles), the MGM Grand Arena (Las Vegas), the Cotton-Eyed Joe nightclub (Knoxville), the Country Thunder festival (Arizona), R.J. Romeo (talent buyer), Brian O’Connell (promoter, Live Nation) and the absent Venetian Resort Hotel (Las Vegas). Lindsay Ell was up next. Clad in striped slacks and a matching, midriff-baring top, she presented the Studio Recording Awards. The winners were Jim “Moose” Brown (keyboards), Jimmie Lee Sloas (bass), Fred Eltringham (drums), Rob McNeeley (guitar), Danny Rader (specialty instrument) and Dave Cobb (producer). Not present were Justin Niebank (his eighth win as engineer) and Paul Franklin (his 12th win for steel guitar). Masterful honky-tonk stylist Joe Diffie sang “The Grand Tour” to salute the first Poet’s Award honoree, the late Norro Wilson. Norro’s son and daughter accepted. The Gene Weed Milestone Award went to Sam Hunt. Newcomer Kassi Ashton made the most of her performance moment. She was loaded with stage presence as she delivered “Body Like a Back Road” garbed in a billowing, full-length, pink lame evening coat and matching trousers. Bobby Bones presented the statuette. The Mae Boren Axton Service Award went to the late ACM co-founders Eddie Miller and Mickey & Chris Christensen. Their children accepted. In their honor, Cam sang the Buck Owens classic “Crying Time.” Her rendition was absolutely eloquent. The house band’s understated arrangement was a marvel. Frank Liddell was the gig’s musical director, and the band included James Mitchell, Nick Buda, Lex Price, Bobby Terry, Liana Manis and John Wesley Ryles. Storme Warren presented the award. Rob’s son Jeremy accepted. The audience went wild for Old Crow Medicine Show’s performance of “Wagon Wheel.” The group brought up the house lights so that the attendees could sing along, loudly and lustily. This standing-ovation moment was because widely beloved Darius Rucker was being given the Gary Haber Lifting Lives Award for his community service. 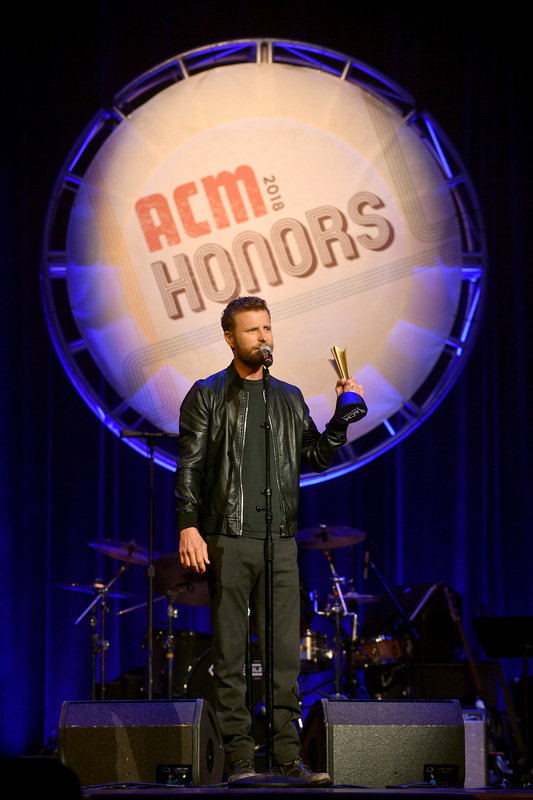 Kip Moore presented the honor to his friend. Dallas Davidson, Ben Hayslip and Dustin Lynch sang a medley in honor of Songwriter of the Year winner Rhett Akins. Lynch, by the way, was invited to join the Opry cast this week. He recalled that he next went into a Lower Broadway bar and encountered a performer singing to an empty room. It was a then-unknown Kenny Chesney. Today, Rhett’s son Thomas Rhett is on tour with superstar Kenny. Jon Pardi returned to sing a riveting “I Hold On.” This was for Merle Haggard Spirit Award honoree Dierks Bentley. The second Poet Award went to Matraca Berg. 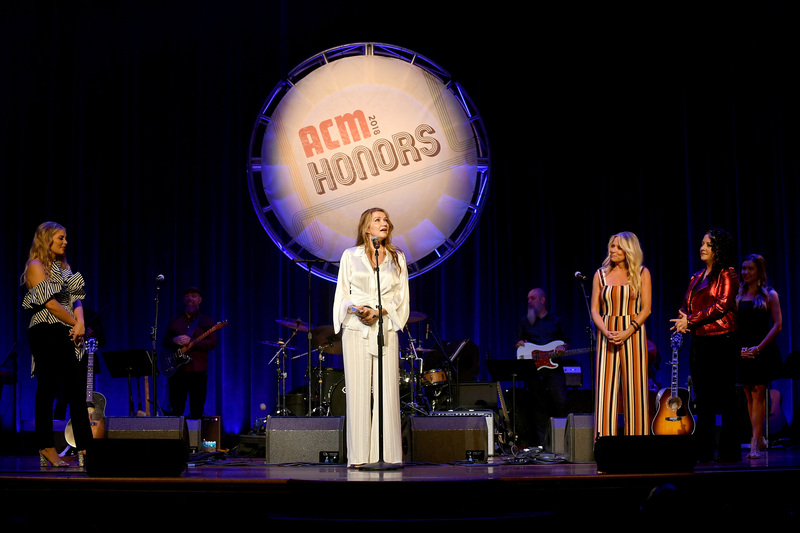 Vocal greats Lauren Alaina (“You and Tequila”), Ashley McBryde (“Wrong Side of Memphis”) and Deana Carter (“Strawberry Wine”) performed in Matraca’s honor, fabulously. Lauren changed into classy evening slacks for the number, perhaps to keep up with the evening’s female fashion trend and/or to match Ashley, Deana and Matraca. Chris Stapleton provided the final musical highlight with his heartfelt delivery of “Here in the Real World.” This was for Alan Jackson’s winning the Cliffie Stone Icon Award. Alan’s daughter Mattie accepted eloquently, since the superstar was reportedly ill.
Martha Moore, Lori Badgett, Buddy Cannon, Stuart Dill, Earle Simmons, Bob Romeo, Diane Pearson, Mark Moffatt, Adam Wright, John Clore, Chris Oglesby and many other industry fabulons attended. Not to mention the ACM’s Pete Fisher, Nick DiFruscia, Lisa Lee and more. But the balcony crowd was dominated by fans. This is cool, because it lets them feel like they are at an industry “insider” event. Plus, they take their seats on time instead of schmoozing endlessly.